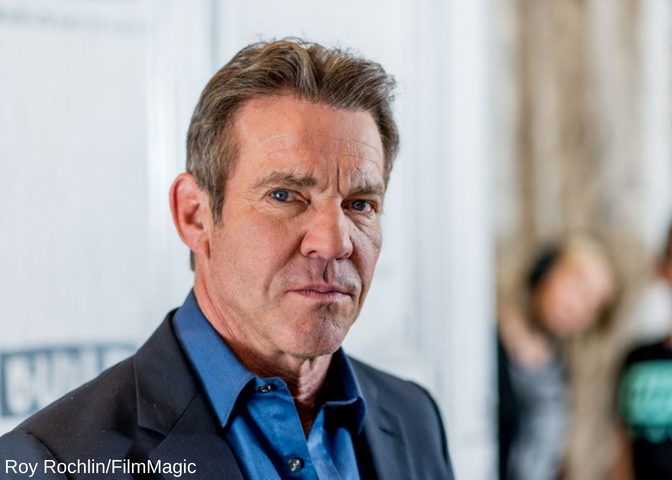 Beloved 80’s actor Dennis Quaid is now talking about his former cocaine addiction in an interview with Meghan Kelly on The Today Show. Quaid was best known for The Rookie, The Parent Trap and The Right Stuff during the 80’s and 90’s. During his most successful years, Quaid admitted to using Cocaine so frequently he was sleeping only one hour a night. The now 64-year-old actor said he started using Cocaine when he first got to Hollywood. He would agree to stop using the drug but by the early evening he would start using again. “Then about 4 o’clock in the afternoon I would be, ‘Oh, that’s not so bad.’ I had a white light experience where I saw myself either dead or losing everything that meant anything to me,” he said. “I had a reputation for being a ‘bad boy,’ which seemed like a good thing, but basically I just had my head stuck up my a–,” the actor said. “I had what I call a white-light experience, where I saw myself either dead or losing everything that meant anything to me,” he said. In 1990 Quaid went through a short stint in rehab where he told then fiancée actress Meg Ryan about the severity of his addiction. Luckily, his relationship with Ryan survived his treatment and they married in 1991 and welcomed their only child together the next year. When they married his career began to stall and his wife’s began to take off, which caused tension in their relationship while he was working on his sobriety. He even admits to becoming jealous of her during their marriage. Eventually, it led to their divorce in 2000. He said he surprised himself with his jealousy over it. “I didn’t think I was that small, but I was,” he said. The actor is working on Amazon’s Fortitude and raising his twin 10-year-old children Thomas and Zoe.